Echinacea is native to North America and is a centuries-old way to promote immune system health. 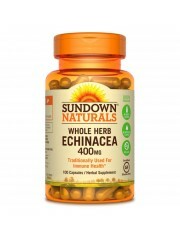 * Echinacea is a great natural way to support the body’s defenses, and is one of the leading herbs for supporting a healthy immune system. * Echinace.. 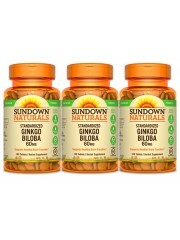 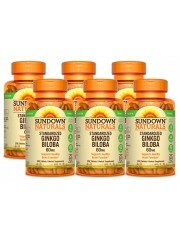 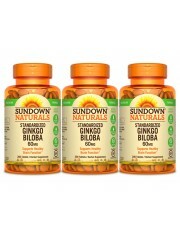 Backed by ancient use and modern scientific research, Ginkgo Biloba has been shown to promote many functions, including memory (especially occasional mild memory problems associated with aging) and promoting peripheral circulation to the arms, legs a..
Sundown® Naturals Standardized Ginkgo Biloba is a smart way to support healthy brain function, especially occasional mild memory problems associated with aging. 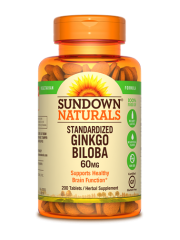 * Ginkgo Biloba also helps support circulation to your brain, as well as to your .. Milk Thistle helps to support the liver and maintain healthy liver function. 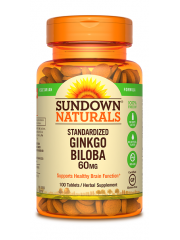 * It contains silymarin, a flavonoid with antioxidant activity that helps support the structure of the outer cell membrane of liver cells. 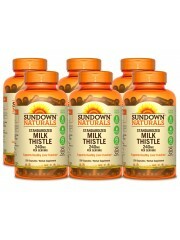 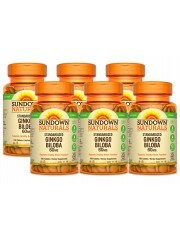 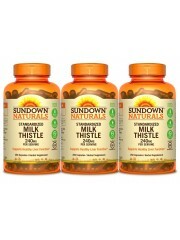 * Sundown Naturals Standardized Mil..